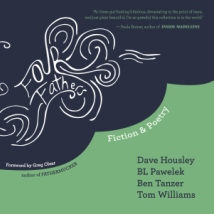 When Cobalt Press announced about a year ago that they’d assembled four excellent writers to contribute to the collection Four Fathers, I was probably happier than most people. My baby daughter was only a few months old and I was well aware that there is no guidebook to the whole fatherhood thing. I thought this might be as close as it gets. Well, guidebook it is not, but this collection of stories, poetry, and a novella evoke a real and often hilarious empathy from me. One of the things about fatherhood is that many times you think you’re doing it wrong, but then you talk to another dad, find out that he did the same thing, and in the end figure out you’re actually pulling off the parenting thing pretty well. Reading this book is like having that conversation. Four Fathers is composed of five sections. Short stories by Tom Williams bookend the collection. The first story is about a man struggling with his own life as a single guy, thinking often about his father and the relationship he has or wish he had with him. 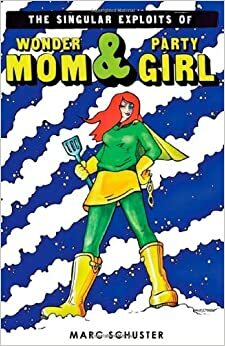 The second story (last in the book) picks up years later, after the character is married and dealing with being a father himself. Those stories sets an excellent tone for the book—by beginning with the man who has no idea and ending with the same man having figured out what only a father can, Four Fathers has a definitive emotional arc as a collection. Between those stories is a series of flash fiction by Ben Tanzer, poems by BL Pawelek, and a novella (or a novelette, I have no idea where the line is) by Dave Housley. Tanzer’s flash pieces each hit on a single element of fatherhood, which is an effective way to approach the experience and give the little things, both funny and serious, their due. This series of stories reminded me a little bit of Abbott Awaits by Chris Bachelder, a novel about fatherhood in flash-style vignettes. The stylistic similarities are easy to see, but the mix of wit, humor, and sensitivity to the sometimes paradoxical nature of fatherhood is what makes Tanzer’s work stand up there with Bachelder’s. The poetry by BL Pawelek consists of a series of shared moments. Not without humor, like the rest of the sections, the verse is more intimate, and particularly focused on the father-daughter relationship, which might be why it struck such a chord for me. My little girl is 18 months old, and I found myself lingering on several lines of Pawelek’s poems, enjoying being in the society of fathers of daughters. Houseley’s novella rounds out the collection. It deals with the pop-culture differences in the generations, and features a main character hallucinating Ryan Seacrest as a sort of pop-guardian angel. It is funny and absurd, but also examines one of the more important parts of parenting: the fact that your kids won’t like what you liked and that has to be ok as much as it hurts. A juxtaposition of Justin Beber with Bon Jovi plays a central role in this story, and brings the absurdity of it all to a poignant end. Four Fathers comes out at just the right time for Father’s Day, and any dad who’s also a reader will appreciate it. Joshua Isard is the director of Arcadia University’s MFA Program in Creative Writing, and the author of the novel Conquistador of the Useless. You can find him at his home page, or on Twitter. 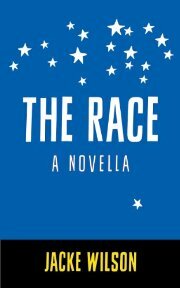 Jacke Wilson’s The Race is an incredibly astute novella about ego and politics that attempts to explain why anyone in their right mind might run for political office. The answer, it turns out, is that they wouldn’t, as the political arena is reserved for the eternally deluded and arguably insane. 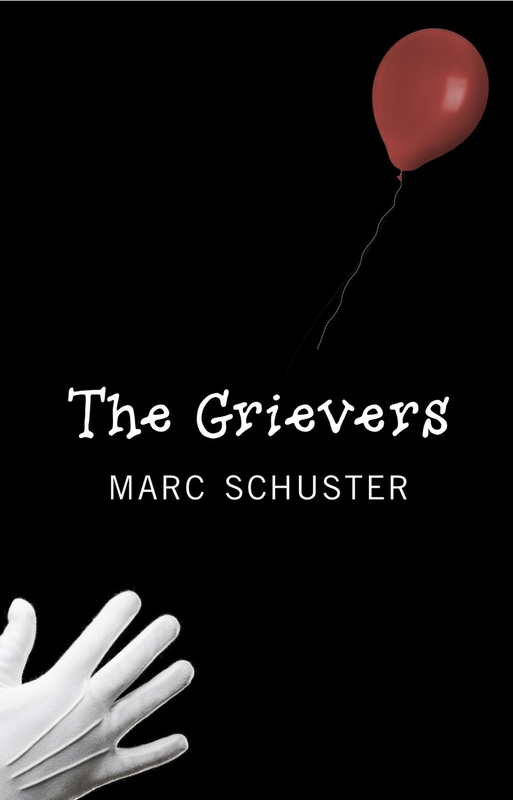 The narrative focuses on Tom Olson, a fictional disgraced former Governor of Wisconsin who is attempting to revive his career by running for Congress. In a “ripped from the headlines” kind of way, Olson’s fall from grace is highly reminiscent of former South Carolina Governor Mark Sanford’s. Yet while Olson and Sanford both mysteriously vanished from their offices only to turn up at later dates in foreign love nests, there are hints of other political figures wrapped up in the novella’s central figure as well. Echoing Bill Clinton’s 1992 remark that Hillary would be so central to his presidency that he might as well adopt “buy one, get one free” as his campaign slogan, a common refrain surrounding Olson’s first bid for governor was “Vote for him and get the pair.” Likewise, something about Olson also harkens to Mitt Romney. He’s relatively handsome in the way many career politicians aspire to be, he’s idealistic in his own way, and he’s optimistic to a fault — so much so that his grand vision of the world completely eclipses reality. There’s certainly plenty of dry humor to be had in the proceedings — particularly as Olson does his best to turn the rancid lemons of his tattered political career into saccharine-sweet lemonade — but the real strength of Wilson’s writing is in its Marxian critique of American politics. Early on, Olson’s biographer notes a key difference between himself and the politician: “He was bourgeois and I was proletariat.” He then goes on to muse, “Why don’t we use those words anymore? Too loaded with history?” Yes and no. The real problem isn’t history so much as substance in general. As Wilson depicts it, our political system is largely a popularity contest, and political platforms offer little more than trite platitudes and vitriol against the other side. As such, Olson is especially popular “with a certain kind of pundit who has overcome his or her natural ability to say anything interesting or accurate, or to have any personally appealing qualities, by instinctively taking the contrarian’s view of any issue.” Most of all, however, Olson demonstrates that what truly drives politicians is a desire to control the narratives of their own lives, as his tragically optimistic efforts at running for office are forever haunted by the specter of the good man he was before throwing his hat into the political arena. Smart, well-written, and frequently funny, The Race offers some interesting speculation into the mind of the American politician.